Thick mulch (at least 10cm). Traditionally straw was used as a mulch – hence the name – to keep fruit off the ground and protect it from dirt, damage and fungal disease. Mulch will also suppress weeds and maintain the soil moisture. As straw is not always readily available, disease free grass clippings, pine needles, leaves or newspaper strips can also be used. Prepare the beds for strawberries in late summer by digging a layer of compost, bonemeal and organic 2:3:2 fertiliser into the soil. Strawberries prefer a slightly acid soil. 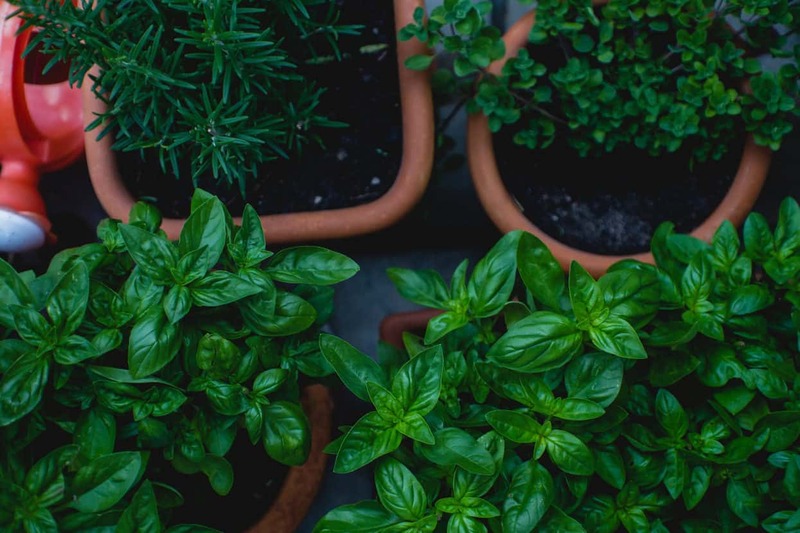 This can be rectified by adding a small amount of acid compost to your soil at the preparation stage. Buy and plant strawberry plants in March and April. Space plants about 30cm apart. If you don’t have space for a designated strawberry bed, plant them as a path edging or groundcover amongst vegetables or bedding plants. 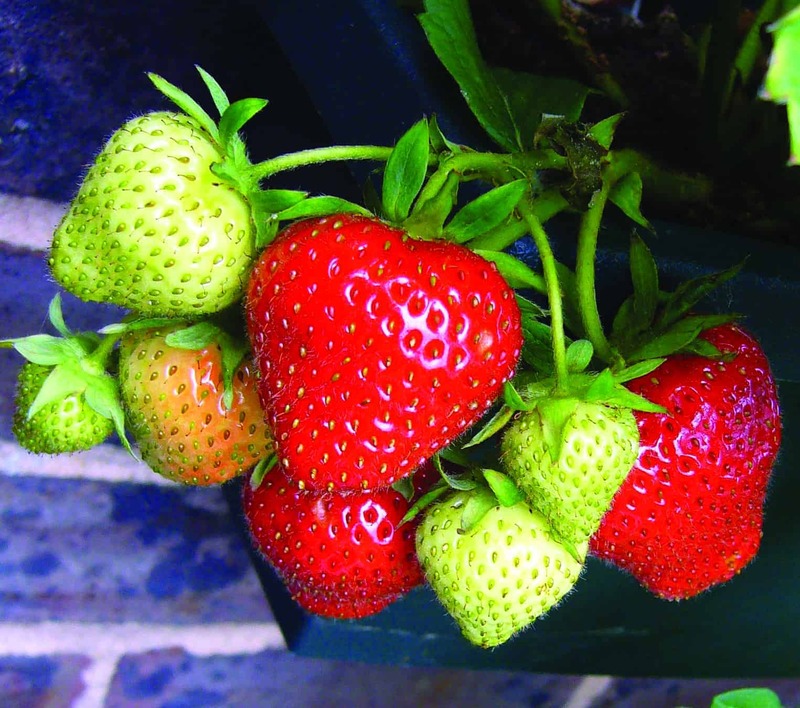 Alternatively strawberries can be planted in special strawberry planters, barrels, pots, planter boxes or hanging baskets. When planting ensure that the roots are buried, but the crowns are sitting just on top of the soil. Firm the soil down around the plants, apply mulch and water deeply. Continue to water 2 – 3 times per week in the mornings. It’s preferable not to water onto the leaves as this can lead to fungal disease. When the fruit starts to ripen, cut down on the watering, but never let the soil dry out. Fertilise in autumn and again in spring with an organic 3:1:5 granular fertilizer. Ensure that there is always a thick layer of mulch around the plants. The strawberry plants will send out runners, which are bare stalks with a leaf cluster at the end of it, from which roots will form. During the first two years, cut the runners from the mother plants to concentrate the plant’s energies on fruit production. In the third year leave runners to develop and in autumn choose the 2 strongest runners from each mother plant. Peg these little plantlets down with a U-shape bent garden wire or a hairpin into the soil, close to the leaf cluster (or into small pots with soil) to ensure root growth. Only cut the runners from the mother plants when they start making new leaves (about 1 month), an indication that they have established a healthy root system. Transplant the new plants into new beds or containers or use them to replace diseased plants in the original bed. These runners will already bear some fruit the next spring and will ensure a continuous crop. Allow the fruit to ripen on the plant before harvesting to ensure the best flavour. 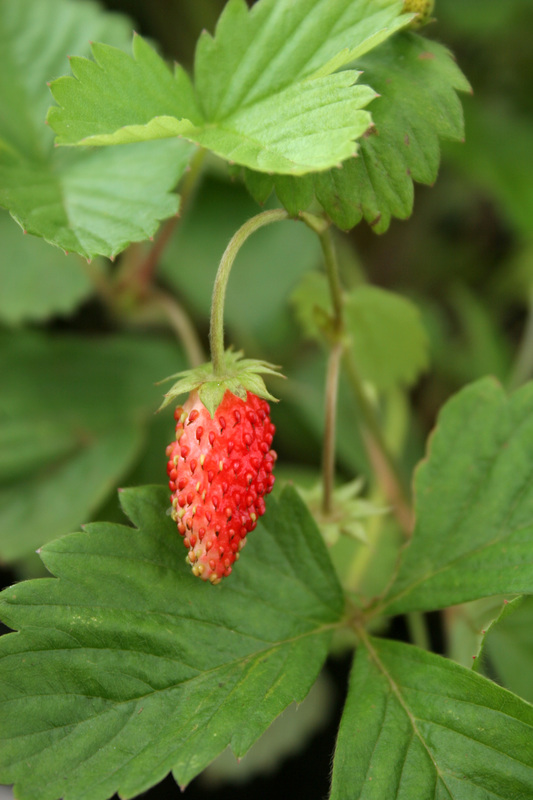 Strawberry plants should not be grown in the same bed for longer than 3 years. After 3 years, lift and transplant them into new beds.